NeSI, New Zealand’s research supercomputing organisation, today announced a new integrated supercomputing platform to power computational and data intensive research in New Zealand. Science and Innovation Minister Paul Goldsmith today announced the joint investment by NeSI and NIWA at the signing of a six-year contract worth $31.7 million with global supercomputer leader Cray Inc. This investment replaces and expands NeSI’s national compute and data platform, extending its scope and performance to meet changing needs, and will be commissioned by early 2018. NeSI is a collaborative partnership between the University of Auckland, National Institute of Water and Atmospheric Research, the University of Otago, and Landcare Research. It is a virtual organisation developing advanced computation and analytics capabilities across the science sector and delivering underpinning computing and data infrastructure. NeSI Director Nick Jones comments that where scientists once worked almost exclusively in physical space such as a laboratory, these days much of their work is done virtually by computer analysis and computer modelling which increases productivity and opens up new frontiers. Data-intensive research encompasses a wide range of activity in New Zealand, including genomics, climate science, natural hazards such as earthquakes, engineering, medical research and cosmology. “We are propelling our research into a new world where big compute and big data are going to impact many aspects of our lives and through this investment into a high-performance computing platform, New Zealand research will benefit across the board and allow us to compete with the rest of the world,” Mr Jones says. 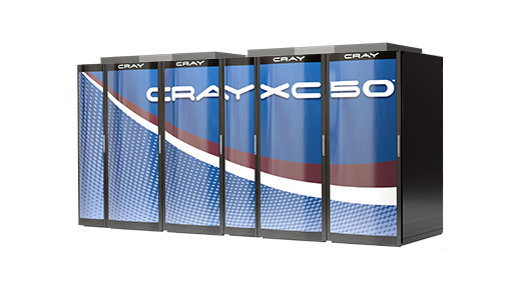 The new, enhanced supercomputing platforms’ 33,500 cores will deliver up to 12 times the computing capability and more than four times the storage capacity of their predecessors, integrating three supercomputers around data intensive storage and extending this with virtualised laboratories and visualisation pipelines. The primary infrastructure will be located at NIWA in Wellington with a new replicated data infrastructure at the University of Auckland’s Tamaki Data Centre providing data resilience.